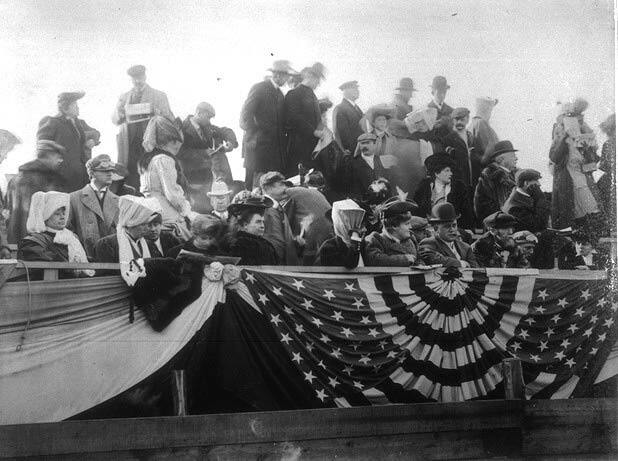 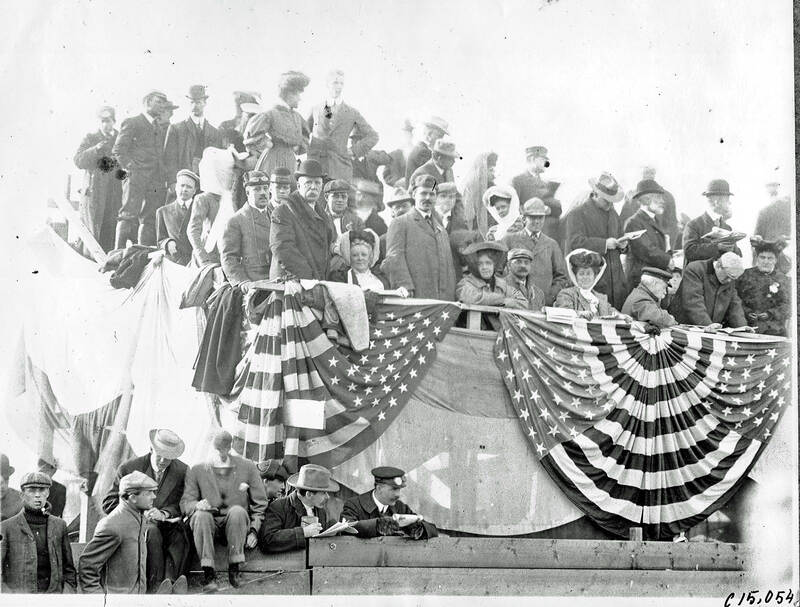 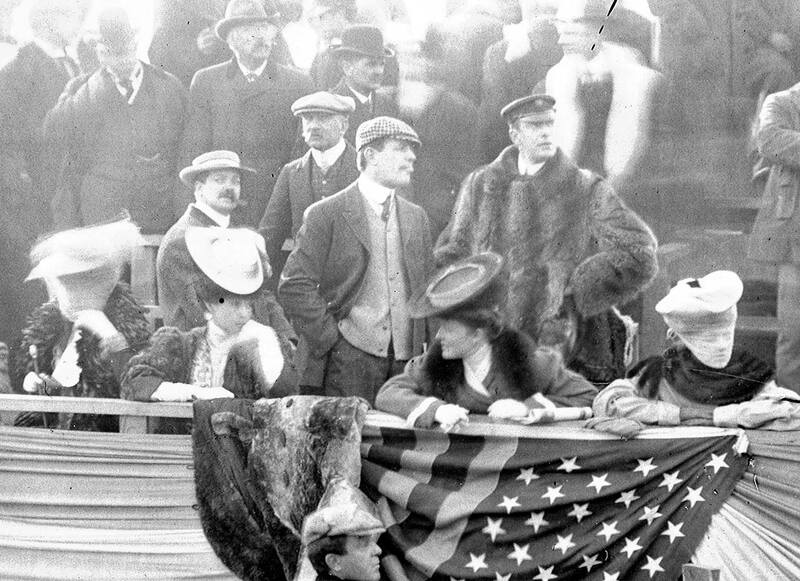 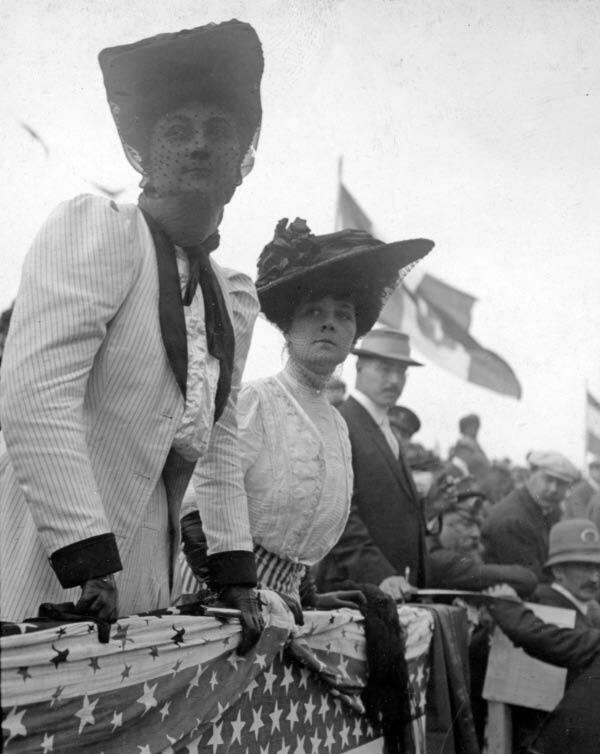 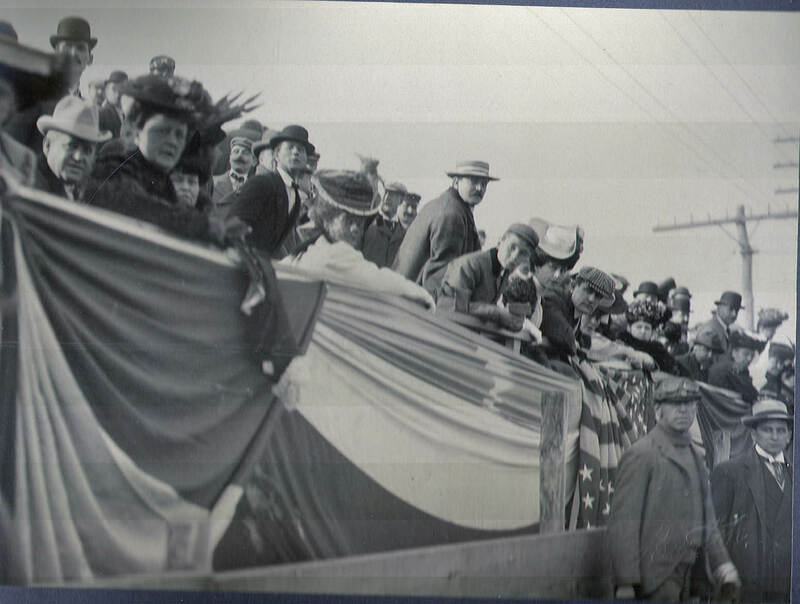 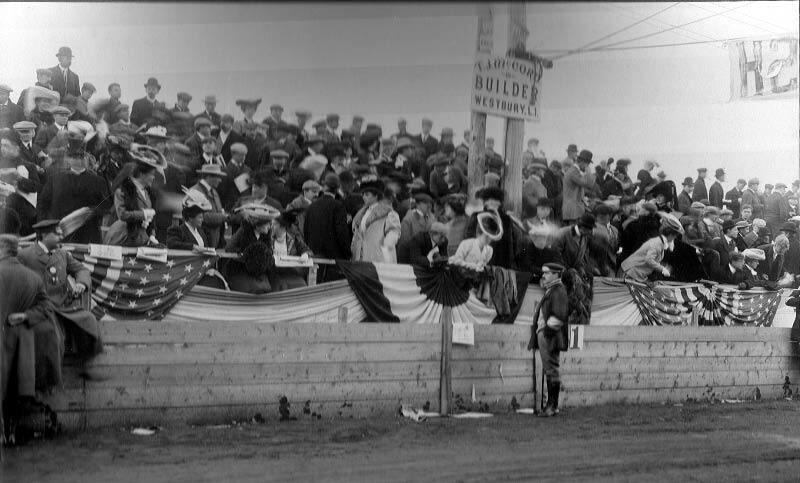 The Vanderbilt Cup Races attracted the Vanderbilt family and their friends to the grandstands. 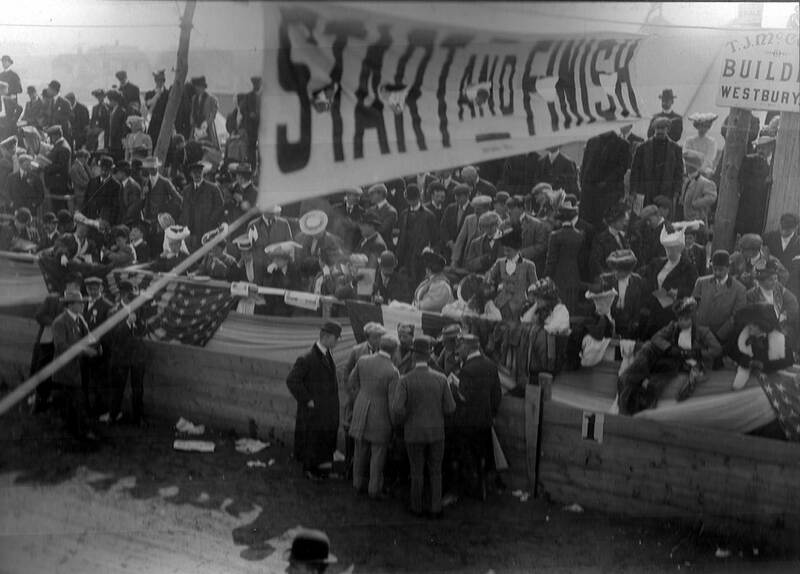 It was never more evident than at the Start-Finish Line on Jericho Turnpike in Mineola for the 1905 Vanderbilt Cup Race. 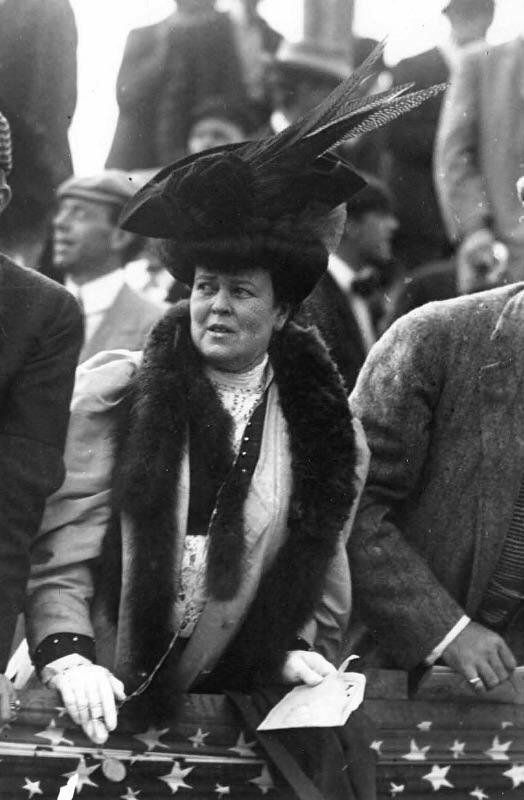 William K. Vanderbilt Jr.'s wife Virginia (right) and her friend Natalie Martin (left). 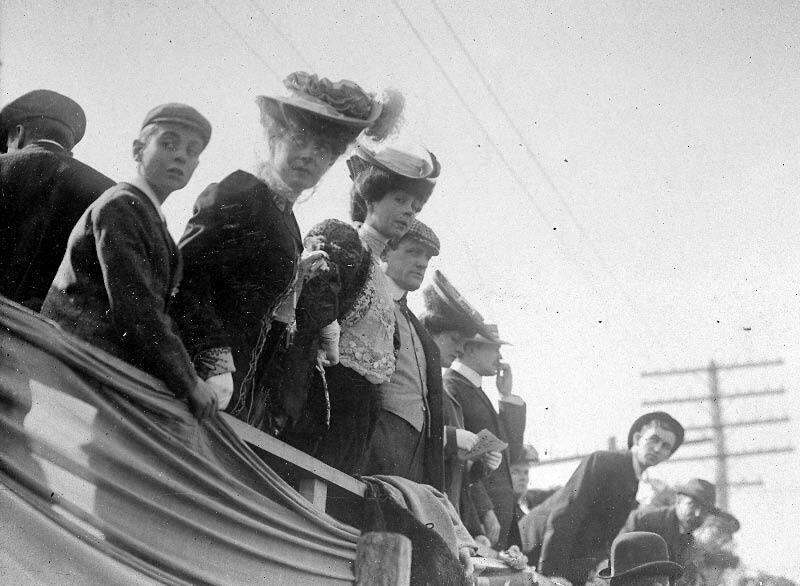 Consuelo, the Duchess of Marlborough (center wearing a white blouse), Willie K's sister. 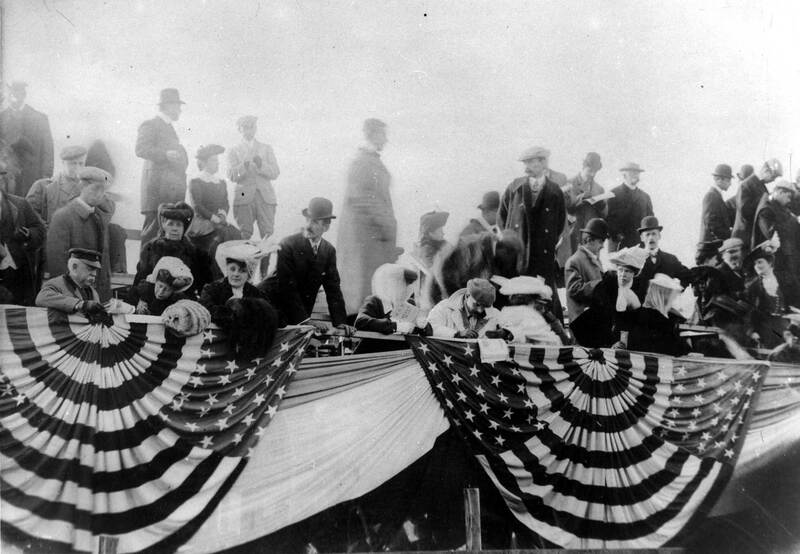 Willie K. speaking to his wife during the race.